You may or may not have heard about the My Harvest America business opportunity as it only launched in December 2009. But, if you have heard about it, you have possibly heard it was a scam or their discounts aren’t really discounts or they don’t deliver in a timely manner or it wasn’t a good business opportunity. I can truthfully say all of those rumors are completely bogus. This is my own story and it will deal directly with the first three rumors. I don’t do the shopping for our family, but I handle the finances and know groceries are one of our larger monthly expenditures. We’re always looking for ways to save more money. I was skeptical at first, but I joined My Harvest America thinking I could save my wife some time and save the family some money at the same time. So, we sat down together and placed an order for some of the more everyday items we purchase often. We bought 23 items costing a total of $52.26. We were pleasantly surprised to learn that we saved $29.96 over what we would normally spend for the exact same items (and my wife is a frugal shopper). That’s a 36% savings and covered the monthly subscription cost on our first order! It’s not a huge dollar savings because the order is small, but I can’t wait to see the savings after a few months. Now, with shipping being free, you may be wondering, “How long did it take for your order to arrive?” We placed our order on a Wednesday afternoon, a confirmation email with a shipping tracking number arrived soon after and it was at our door the next Wednesday. Not a bad turnaround for free shipping. As a service, My Harvest America is pretty good. The grocery selection is excellent and the prices are lower than average by 30-50% and the free delivery is timely and trackable. But, what about the My Harvest America business opportunity? Does it really have the potential to bring in thousands of dollars of income each month? Well, think about this… Do you know anyone who buys groceries? Do you think they would like to save money on their current grocery bills? Do you think they would inform other people about how they saved big money on their groceries? If you answered “Yes” to any of those questions, you really need to check out the My Harvest America business opportunity and find out how you can Make Money With Groceries. This is a no brainer. What are you waiting for? If you are not really interested in the My Harvest America business opportunity amd just want to save time, money and gas when it comes to shopping for food, be sure to check out Discount Groceries For You. Find pragmatic tips in the sphere of internet marketing – study this web site. 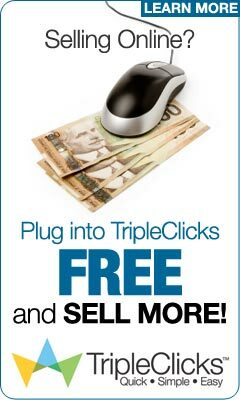 The times have come when concise information is truly only one click away, use this opportunity.